In part 2 about my Mock Orbis Pictus, I dug into how it is going to look and shared the rest of our list. 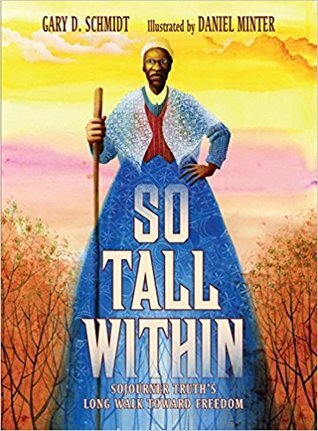 In the #road2reading Challenge, I talked about how I book talk books so they are not "boy" or "girl" books and shared how I would introduce three books that may be typically called "boy" books. In a book that is perfectly illustrated by Minor, we meet Granny, the world's oldest living orca. 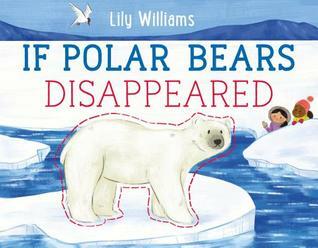 Through the eyes of a young girl who is patiently waiting this year's migration by Granny and her family, we learn facts about these amazing creatures but also go on an adventure with them. Another migration story, mother Gray Whale is bringing her child, Little Whale, back to the cool, northern waters. Facing dangers and the wide open sea keep them moving. Told in stunning charcoal illustrations, this is a beautiful story about a mother's love keeping her child safe. I am pretty sure this is my favorite fractured tale by Woollvin because it turns the table on who the "villain" of the story is until one character in particular changes throughout the story. Follow a young fox throughout the day as it hunts for food and then is hunted for food! Good verbs are sprinkled throughout to explain the fox's movements. Who wants to read a boring story? Certain not these characters, especially those stories with bunnies them. Due to their bunny bias :) these characters won't let Bunny into their writing group because bunny stories are boring.... or so they thought. Maybe what they need is a good bunny idea! Shares elements of plot - would be a fun book to share when that is discussed. 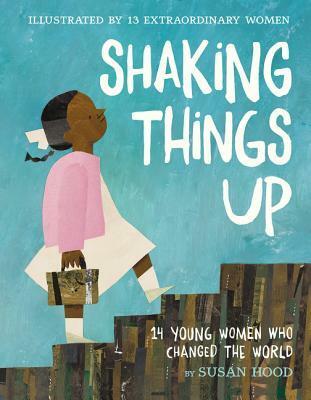 Find this book next Tuesday - Nov. 6th! 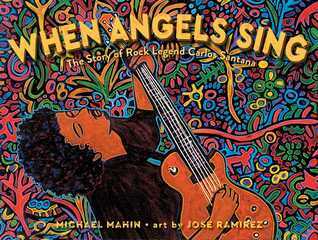 Thanks to my friend, Ann DiBella, for telling me about this one! A story that will for sure make you laugh and wonder if you always do whatever everyone else is doing, how unique are you? 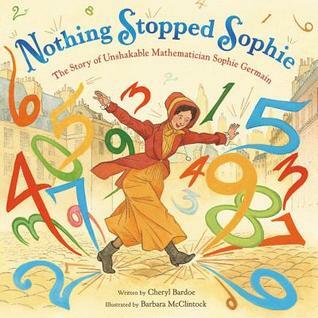 Pair with Robert Munsch's Stephanie's Ponytail. Misunderstood Shark was one of my favorite picture books this spring. 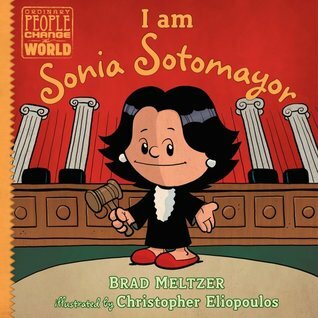 Funny and smart, kids flocked to this book! It's still one of my most checked out books. In January, we get the sequel and find out how our friend Bob is doing. And... we get the best and most disgusting shark fact EVER in this book!!! Make sure you look for it in January 2019! I already have my copy on preorder! 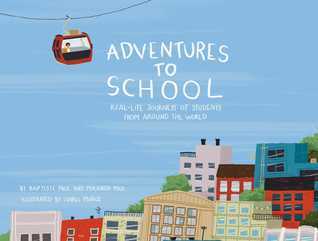 Thank you to Scholastic for the advanced preview! The science behind a jack o lantern after Halloween - what happens to a carved pumpkin if left to rot outside! Absolutely disgusting, this one will fascinate readers who enjoy their science! Happy Reading week to you! I'm going to assume most readers here have heard "books are for everyone"... "there are no boy/girl books". If you've been on Twitter at all, you've seen the threads on these subjects. To me, it seems obvious. Of course books are for everyone. Of course anyone can read any book. I don't limit choices. When I book talk I talk about themes or genres, not genders. I tell students about the adventure, the suspense, the mystery, the way a book lands in my heart. I tell them about the characters, which includes genders, but the emphasis is on their traits. I don't tell a child or a specific group that they may not like the book, it's for another child/group. I don't push a book towards a specific gender. I still have readers who are very specific about what they are willing to read. Where does that start? At home? With social media? With videos and TV? Are schools and educators perpetuating this? I would like to think no, but at the same time I have sat on book committees and teachers/librarians specifically name "boy books" and "girl books". I will continue to buy books that have boy characters and girl characters and animal characters and anything else an author chooses to put in a book. I will continue to describe books by genres, themes and traits. I will continue to have books that will appeal to all readers. So that means if I have a boy that walks in and refuses to read books with all female characters or has anything to do with a princess, I'll make sure I have books with plenty of boys on the cover or topics that appeal to that reader. And if I have a girl that walks in and only wants to read superhero books I'll show her my Marvel section and the Lunch Lady books and the Princess in Black series. I want to make sure I have something for everyone. 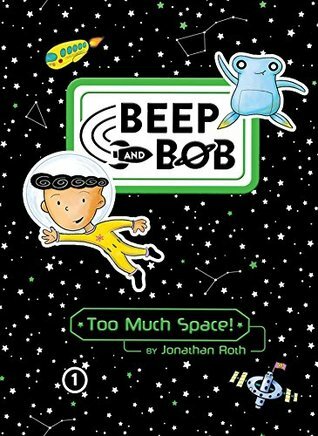 This series focuses on the main character Bob, a young boy who lives in outer space, and his pet alien, Beep. Bob keeps a "splog" where he writes about his adventures. Bob always means well, but he typically finds himself in some kind of trouble. Thank goodness Beep can help him get out of most messes he finds himself in! This series has short chapters and is a smaller size book to hold than your typical middle grade books. Coming in at around 100 pages, this is a perfect transitional chapter book series for readers who are ready to read longer books, but don't have the stamina for longer reads just yet. 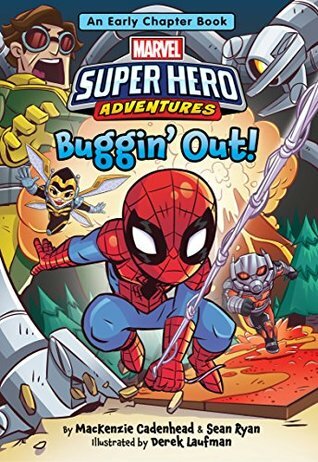 Super Hero Adventures: Buggin' Out! The cover says "Early Chapter Book" but I think Marvel's definition of early chapter book and mine are a bit different. This is definitely more of an early transitional chapter book for me with longer print on each page, although each double layout has at least one full-color illustration. However, there are longer vocabulary words that beginning readers will have trouble with, so not an early reader like it is advertised. Filled with Marvel characters, this series will definitely delight the superhero crowd who is looking for a longer story. And just like the Marvel movies, at the end of the book there is a special scene - this time a comic that is worth waiting for! I will be book talking these books with many readers. I remember when my daughter was in second grade she loved watching the Spiderman Adventures show on Disney channel - she would have loved this series! 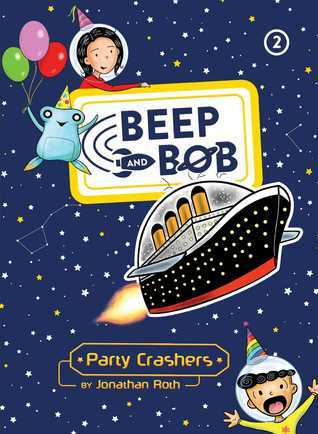 Kids love crazy adventures - the Beep and Bob will be perfect for them! Know your reader. Know what will hook them and find those books! Hope you were able to stop by last Wednesday and read about my switch to trying NCTE's Mock Orbis Pictus with students this year. Here's the post. That was the why, here is the how! I've always viewed any "mock" award process as a way to expose students to amazing literature while getting them to dig deeper into criteria that makes the books great. The fantastic part about critiquing nonfiction material is it ties into our curriculum standards so well. I started out by introducing the Mock Orbis Pictus to each classroom that was partaking in the fun! We talked about the other "Mock" awards we do as a school - these students have already participated in Mock Geisel and Mock Caldecott for the past three years so for them, this is something that was familiar. We talked about NCTE and the Orbis Pictus award. I showed them the Orbis Pictus site and we looked at last year's winners. There were several familiar books to them (If Sharks Disappeared, Dazzle Ships, Her Right Foot and Grand Canyon) and we talked about what stood out about those books. The NCTE site has put together a very helpful guide to start you on your way. It was here that I found the categories the committee uses to critique the books. They include: accuracy, organization, design and style. Included in the guide are some very kid friendly questions to help them frame their thinking. I made a booklet the students would use with 2 questions for each category. We took a closer look at each category and talked about how we would go about thinking and discussing each one. 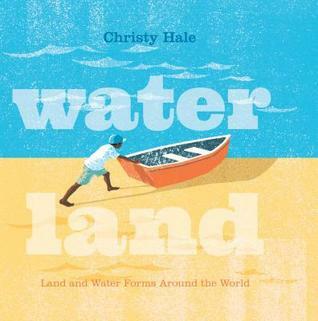 this category is easy for fourth graders because as third graders we had already looked at author opinion and how information can be framed by writers and how we can form our own opinion about what we read. each grade level has done some work with citing their sources. We discuss how writers must do the same thing and we talk about how this information is usually found in the backmatter. We also talk about the Author's Note - so many readers skip this very important part but after looking at some examples, we see that so often an author might share information about the experts that were consulted when writing the book. this goes along perfectly with our discussion of text structure. Such an important piece of information for our readers. If they can figure out the text structure of a section or the entire book, our students know they can figure out which thinking map they would use to help them organize their thinking. Our district has been using thinking maps - generic graphic organizers that go along with text structure such as cause/effect, compare/contrast, description, problem/solution, etc - to help students frame their thinking. 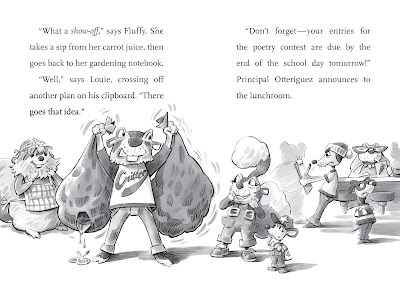 Talking about organization is such a perfect segway into text structure and why a writer choose it - very important standard connection! 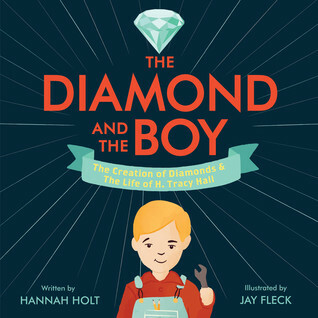 here students are able to look deeper into the decisions an author or illustrator made to help their readers understand the content. Were text features used? How did that enhance or distract us from the book? Understanding text features and how they add to the understanding of the main text is another standard we need to teach. here's where students get to add a little of their own opinion to their critique. Did they like the book? Did this book make them want to learn more about the topic? 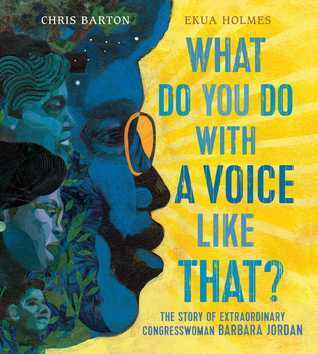 We've started looking at our own opinions about nonfiction reading and answering a question such as "was this book interesting" one that is perfect to talk aloud about - so many students are shocked to learn that nonfiction is interesting and that a topic they didn't think they wanted to learn about is actually fascinating. Students will be able to refer back to their notes once it gets closer to voting time. NCTE begins November 15th so I imagine we'll have our vote in the days before I leave. I've already promised to send pictures from the Children's Luncheon where we'll find out the list of Recommended, Honor and Orbis Pictus Award winner titles. illustrated by 13 different illustrators! 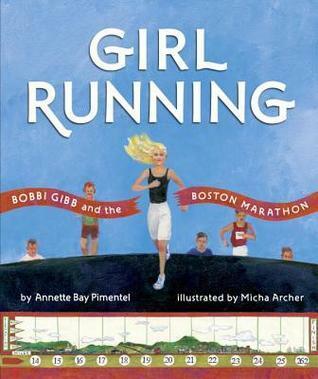 What a great list of nonfiction reading! I could've put so much more on it, but you always have to limit some lists! Now I'm anxiously waiting the Awards Luncheon to find the "real" results! 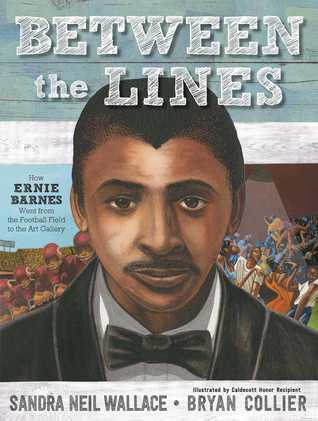 I had a sneak peak at this book at ALA and marveled over its beauty - gorgeous palette of colors and simplistic story. One that will capture the imagination of an early reader. This is going on our Mock Geisel, for sure! 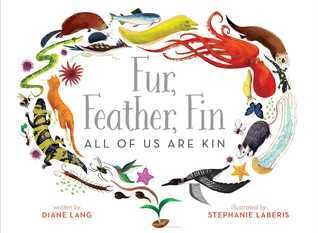 A book about celebrating your differences. A stink bug just can't stink - instead he produces lovely smells like flowers and new car smell :) But he discovers his talent lies in.... dancing! 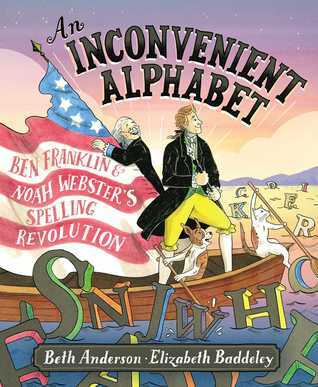 A bit didactic but because of the silly humor, young readers will definitely giggle! I vaguely remember the All-of-a-Kind Family stories from when I was a child. I think my grandparents had the books at their house and I started one when I was there but I don't remember finishing them (they also had many Nancy Drew books and I was infatuated with them for a time!). 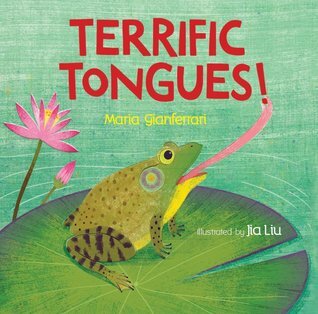 This picture book is based on the All-of-a-Kind Family, but you don't have to be familiar with the stories in order to enjoy this book. 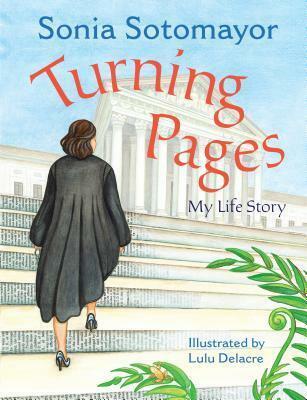 A story about family, traditions and helping, this reminded me of the Jasmine Toguchi books! A lovely story to add to your holiday collection. I think this is a book that is perfect for close reading. Since it's a shorter text - a line or two per page, I hope classrooms take the time to really think about some of the lines and talk about and discuss what the words mean - for them and for the greater community. McAnulty follows up Earth! My First 4.54 Billion Years with another humorous text about the Sun. Told in the voice of the Sun, we get a first handed account about the Sun (yes, with a capital S!) and all of the important jobs it has. Told in a humorous voice, readers will enjoy the story and learn some facts along the way! Important backmatter included. This week I read a couple of books from my never ending TBR piles. I choose Scar Island because I had the opportunity to have dinner with author Dan Gemeinhart this past week and it was one of his I had not read yet. I can definitely see handing this book off to a reader who is looking for an action packed novel about survival, especially when the conditions aren't ideal. I always have a tough time reading books when kids are mean, being bullies. This one certainly has it's moments, but I'm glad I read this story finally! Another book that has been on the TBR for sometime. I really enjoyed Lou - a diverse character (half Filipino, half white) who is figuring out who she is, trying to figure out how to stay with loved ones instead of moving states away, and doing what she loves - building homes! I love the integration of architecture and learning about the different types of homes. Great middle grade read, I think readers will enjoy Lou's voice. A book I've owned since it was published, it took me to putting it on my #mustread list to get to it. Glad I'm finally there! A few years ago I read this little book called The Infamous Ratsos. I was immediately grateful for it because it was a book that filled a void - an early transitional chapter book that was funny. It was going to be a book I could pass on to readers, but I was already thinking about my readers who don't come to books naturally. Not only did I see the importance of this book, the Geisel committee did as well, awarding it an Honor. I was thrilled to hear it was going to be a series. Now here we are, celebrating book 3! Brothers Louie and Ralphie are back in another adventure. 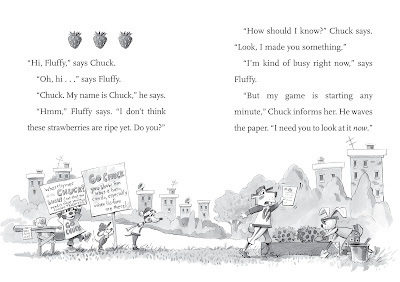 Chuck Wood is the most popular kid in school, and Louie Ratso can't believe that Chuck has asked him for help! Chuck likes Louie's friend Fluffy Rabbitski, and he wants Louie to help him get Fluffy to notice him. As for Ralphie Ratso, he can't believe that his brother wants to spend all his time with Chuck instead of with him. 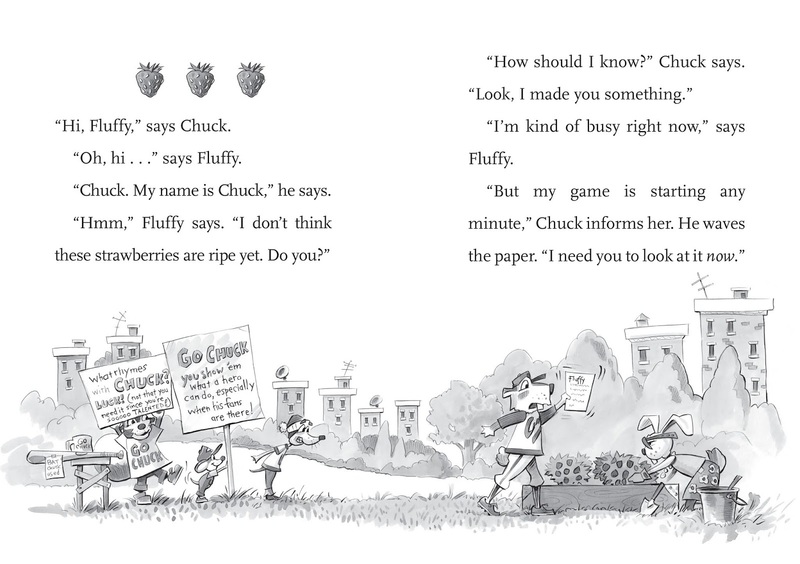 Meanwhile, despite Louie and Chuck's attempts to get Fluffy's attention, she has eyes for only one thing: her garden. But there may be hope. As their father, Big Lou, tells his boys, the best way to get someone to like you is to show that you're interested in what they like. After all, that's how Big Lou won over Mama Ratso years ago. Can Louie help Chuck find a way into Fluffy's heart? And will Ralphie find a way to let his brother know how much he misses him? When I think about readers of this book, I think about what they need. They need a straightforward plot line and one they can relate to. 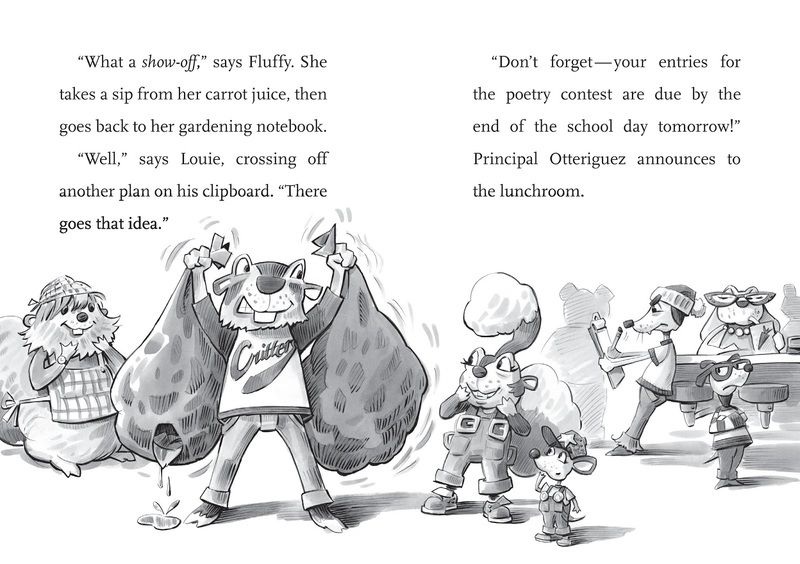 In Project Fluffy, Louie is trying to help cool-kid Chuck find favor with classmate, Fluffy. They try multiple solutions to this one problem, but nothing works until the words of the wiser moment from dad, Big Lou. There is a secondary problem with this one, and although sometimes those can throw off a reader with there being too much to follow, I think readers will be able to relate to it. While Louie is busy helping Chuck, he starts to leave Ralphie in the dust and Ralphie feels pretty upset about it. Feeling left out is a common problem kids have - especially when it's not intentional. I think readers will empathize with Ralphie and want everything to work out ok for him. 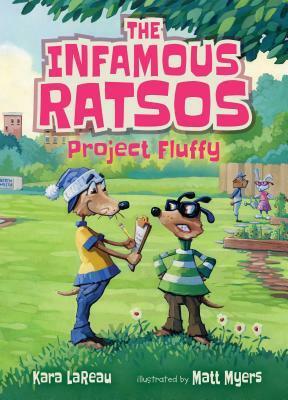 THE INFAMOUS RATSOS: PROJECT FLUFFY. Text copyright © 2018 by Kara LaReau. Illustrations copyright © 2018 by Matt Myers. Reproduced by permission of the publisher, Candlewick Press, Somerville, MA. While many of these characters have been introduced in the past, there are quite a few to keep track of while reading. When I notice I am having trouble keeping everyone straight, I usually know it's time to show readers how to make use of a character map. Readers can sketch new details for each character or write down quick descriptions - something that will make the character stick for them. I encourage readers to keep their maps tucked away inside the books so they can use it when confused about who is saying what! I've heard there are more Ratsos adventures coming our way! This news makes me so excited! Our readers need more smart stories like these. For the past several years I have done some version of the Sibert Smackdown/Mock Sibert. I followed along with what Melissa Stewart had set up and made some changes to fit what I was doing with my students. Every year it looked a little different. The first two years I did it with a small group of reading intervention students. Then I brought it into a classroom I was working in. Last year was my biggest year with two classes - not only did we read books, the students had their own critique books where they looked heavily into criteria and noted what authors and illustrators did to make the information stand out. Another part of this is last year I started doing classroombookaday in two classrooms. 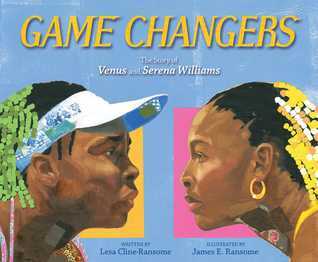 The students heard a lot more nonfiction than ever before as classroom read alouds. Our district has six cycles throughout the school year - 3 literature cycles and 3 informational. 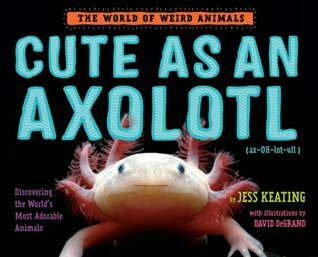 During the informational cycles, almost all of our read alouds were nonfiction. I surveyed students after two cycles to see how their opinions of nonfiction picture books had changed or not changed. Almost all students who said they did not like nonfiction before had changed their minds. 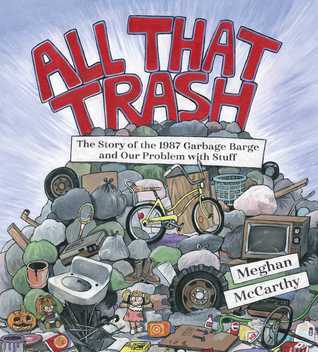 Luckily, Mock Sibert falls during a nonfiction cycle so everything fit together nicely. I was able to use Mock Sibert titles and students were critiquing and using nonfiction standards and using critical thinking for both. Perfect! But.... at the same time these students were also reading and critiquing Mock Caldecott titles. Almost all of our fourth grade students were also in our Mock Newbery Club. I was helping organize Mock Caldecott, Newbery, Geisel and I was adding Mock Sibert to more classrooms. It became overwhelming for everyone! Then this year I heard NCTE was starting their own Mock events, one of them being the Orbis Pictus, which honors nonfiction. The other is the Charlotte Huck Award which honors literature. I am familiar with both awards since I have been attending the NCTE Children's Luncheon which happens on the Saturday of the conference. 2017 honored Don Brown for his graphic novel Drowned City. 2018 will have us listening to Jason Chin talk about his award winning book, Grand Canyon. Since the actual Orbis Pictus Awards will be announced at NCTE in November, that means a Mock Orbis Pictus would have to happen earlier in the school year. I decided to make the switch and I am so excited because I have 5 classrooms participating this year! 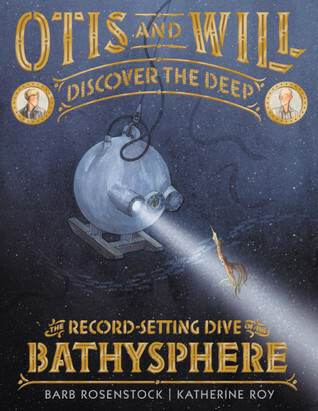 In this first nonfiction cycle, they are reading books that go along with their content and also mixing in books that are on our Mock Orbis Pictus list. 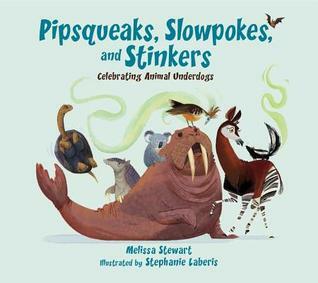 Since I am doing this with 3rd and 4th grade classrooms and it is their classroombookaday, we are focusing on picture books, not the longer middle grade nonfiction. Students are critiquing and thinking more about the books that are on our Mock Orbis Pictus list. Right before I leave for NCTE, we'll be having a vote. I can't wait to share with them the list of the 2019 NCTE Orbis Pictus recommended, honor and award books! To read more about NCTE's Mock Awards, read this post. Stop by next week and I'll share the rest of our titles as well as the criteria students are using to critique their reading.